Online degree programs are a wonderful invention for non-traditional students. They make it infinitely easier for you to get an education no matter where you live or your responsibilities. You can do your coursework from home, work at your own pace, learn according to your preferred learning style, and finish with a degree that will lead you to a fabulous career. Before beginning your online program, you should choose a career. If you know what you want to do, it will make the educational portion that much easier. 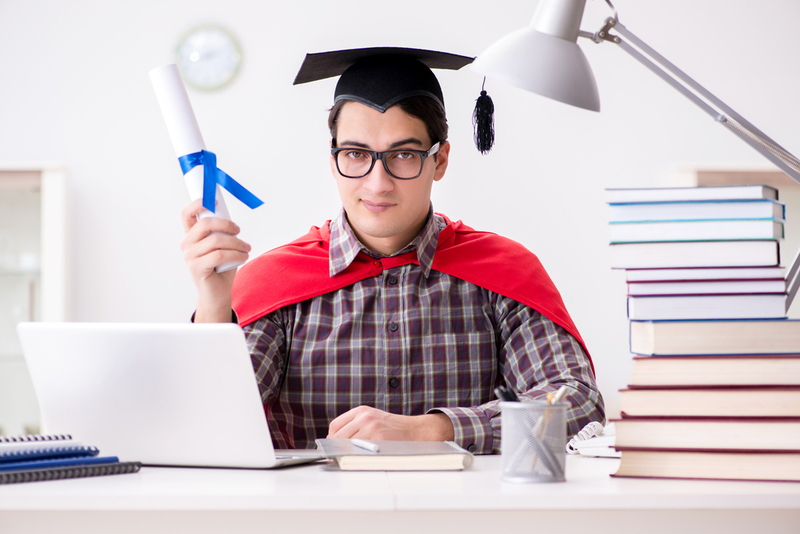 To get you thinking about it, here are four worthwhile jobs that start with an online degree. When considering a career to pursue, think about the current talents and interests you possess. If you’ve always loved writing and reading, and you brush up on all your favorite news sources during your spare time, a career in journalism might be for you. Journalists are responsible for researching and accurately reporting the latest news. You could specialize in a certain industry, or you could be responsible for reporting general news. Journalists may also write interest pieces or specific columns in a newspaper or magazine. If you want to pursue this career, you’ll need a bachelor’s degree in a liberal arts field like English or communications. A few years ago, it was difficult to find a good degree program that would prepare you for the world of journalism, but there’s recently been an influx of online liberal arts degree programs being added to college catalogues. You shouldn’t have a problem getting the education you need to start your career. Before entering this field, it’s important to note that journalism has changed significantly over the years. At one point, a journalist would have written articles for newspapers and magazines only. However, in the internet age, there are far more applications for your reporting skills. Highly-skilled writers are in demand for articles and blog posts, too. Many popular magazines and newspapers have online outlets that always need writers, and there are many online-only publications calling for detail-oriented journalists. Marketing companies are also in constant need of writers who can research complex topics and report on them accurately. They use blog posts to link to their websites and increase the online attention they receive. You can make a comfortable living creating content for these purposes. The career outlook for digital journalists is good. You can make between $40,000 and $60,000 per year with a bachelor’s degree and a good writing job. You can also do a lot of work from home, which is great if you have kids or hate commuting. Unfortunately, cardiovascular disease is the number one cause of death for Americans, both men and women. For that reason, there’s a huge demand for medical professionals and technicians in the cardiovascular medical sector. A cardiovascular technician will assist primary caregivers and heart doctors in diagnosing and treating problems related to the heart and blood vessels. They have a variety of job responsibilities like scheduling appointments, interpreting patient files, getting physicians up to speed on the needs of certain patients, and working closely with heart patients. As the name suggests, cardiovascular technicians will also spend a lot of time working with technological resources. They will monitor a patient’s heart rate, run EKGs, and perform other technical maneuvers for the benefit of patients with heart problems. Cardiovascular technologists may also perform a few complex procedures in place of the doctor, such as stent implants, defibrillator and cardiac pacemaker inspections, and tests to diagnose potential heart disease. One of their most important functions is to save the lives of those who are having a heart attack and to monitor the risk of those who could have a heart attack. Their role is essential in emergency situations. As a cardiovascular technician, you won’t be expected to play all of those roles at once. Your job description will vary depending on the practice specialty you choose. You can study in three areas: cardiac sonography, vascular technology/sonography, and invasive cardiology. If you choose cardiac sonography, you’ll perform echocardiograms, which is an ultrasound image of the heart. You’ll primarily work in diagnostics, but you may be called in for imaging during a surgery as well. If you specialize in vascular technology/sonography, you’ll also work in diagnostics, but you’ll specialize in providing imagery for veins and blood vessels. You’ll work very closely with cardiologists, radiologists, and surgeons to diagnose and treat a variety of conditions relating to the bloodstream. The most hands-on job a cardiovascular technologist can do is to work in invasive cardiology. You’ll work with intense heart cases to diagnose and treat them alongside a cardiologist and/or surgeon. To begin your career, you’ll need at least an associate degree in cardiovascular technology. This will qualify you for a salary that ranges between $45,000 and $71,000 per year, depending on your specialty. It might surprise you to learn that you can become a certified dance instructor through an online program. A dance instructor can work in schools, elementary through post-secondary, to instruct students on basic dance moves and principles of dance. You may also use your degree to teach at dance centers or gyms, or you could start your own dance school. Even though this program can be done online, you’ll be required to perform a lot of hands-on coursework. You can do theory classes over the internet, but you’ll have to practice for hours each week and submit videos showcasing your progress. You will also likely be required to do an internship at a local dance center or school. Most dance programs are happy to let student instructors work alongside them, gaining the experience necessary to instruct your own classes in the future. Look for a dance center in your area that will allow you to do a practical internship with them. If you live in the Chicago area, you might look for a dance center in Naperville and Oakbrook Terrace, IL. That way, you get excellent practice in a residential area without having to go very far from home. With a degree in marketing management, you have a huge assortment of options for your future career. You could work for any marketing firm, for a corporation, as a consultant, or as a manager over a group of marketers. The latter is the higher paying option with a six-figure salary. These options are all yours with an online degree in marketing management. There are hundreds of accredited online degree programs in marketing that you can pursue in any specialty. You’ll need at least a bachelor’s degree to get started, but you might consider a master’s as time goes on. The higher the education, the higher the pay. In fact, marketing has become such a digital industry that a degree online can actually be more advantageous than a degree on-campus. As you learn to navigate your courses and research for your homework online, you’ll have an intimate knowledge of some of the digital workings of online marketing. Marketing is a competitive field, and it’s not always easy to get to the top of the food chain. However, if you’re very creative and organized, you’ll easily stand out in your class and work your way up to a management position after you graduate. Consider an online education, whether you’re changing your career or just starting out. It opens doors you might not have thought possible and helps you progress in the career you’ve always wanted.